Approximately 35,000 people will be diagnosed with oral cancer each year and about 7,600 will die from the disease. On average, 60 percent of those with the disease will survive more than 5 years. Oral cancer most often occurs in people over the age of 40 and affects more than twice as many men as women. Risk increases with age. Oral cancer most often occurs in people over the age of 40. It is important to find oral cancer as early as possible when it can be treated more successfully. An oral cancer examination can detect early signs of cancer. The exam takes only a few minutes. 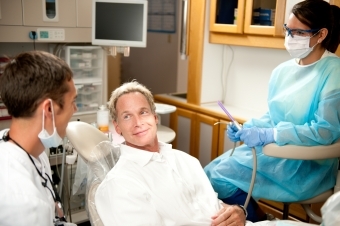 Your regular dental check-up is an excellent opportunity to have the exam. During the exam, your dentist or dental hygienist will check your face, neck, lips, and entire mouth for signs of cancer. If you are experiencing any of the above listed symptoms, contact Cloverdale Crossing Dental Group to book an oral cancer screening.